This method of coupon organization is probably the most popular. There are many different ways to create a Coupon Binder, but they all usually involve a 3-ring zippered binder with baseball card holders. You file your coupons in the plastic sleeves of the baseball card holders. Pinching Your Pennies has an excellent video here on How To Create a Coupon Binder. 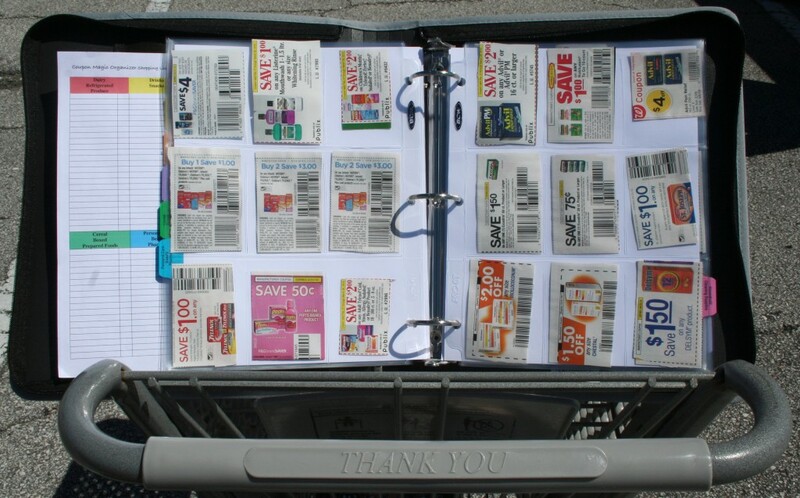 And Penny Pinching Diva has a great article on The Anatomy of a Coupon Binder which explains how to set up your own Coupon Binder. See more Pros and Cons on the Coupon Binder from Utah Deal Diva. Don’t have the time to put together your own Coupon Binder? You can buy them already made up for you from Prospering Families or from Coupon Magic Organizer. 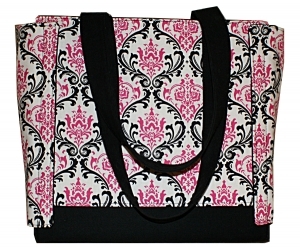 Want something more stylish than a plain old 3-ring binder? Order a Coupon Clutch! 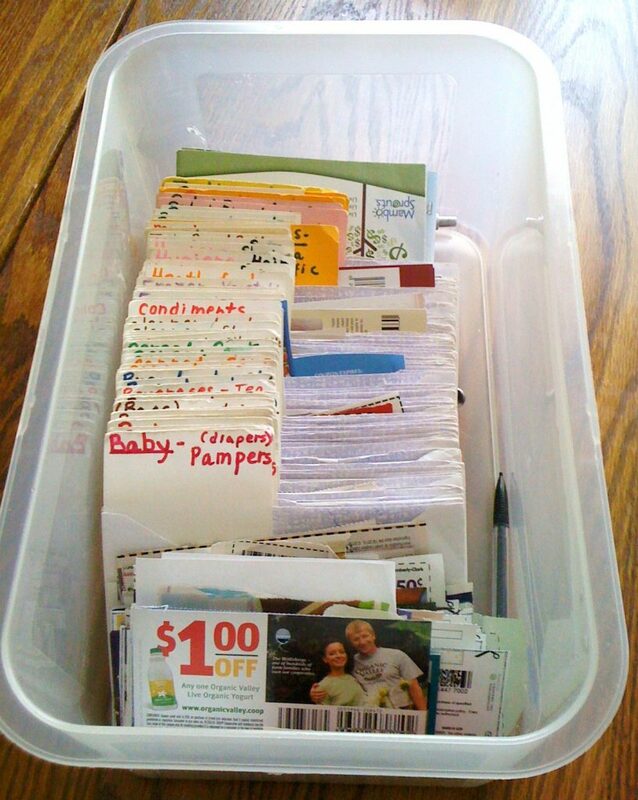 This method of coupon organization is the least time-consuming. Instead of clipping coupons out, you file the inserts whole by date. See a video of how the Whole Insert Method works here. I shared how this method works for me here. You can watch a Video Tour of My Coupon Box to see how Carrie set her system up. 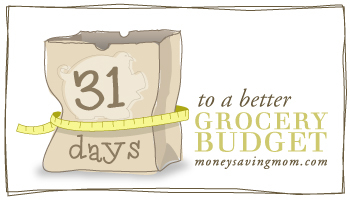 Monica also has a great tutorial on her adorable coupon box. Cons — The box is a little bulky and might feel conspicuous to some of you to take into a store (doesn’t bother me, but I’m already weird!). In addition, if you drop the box, you may have Coupon Disorganization Disaster! 🙂 And finally, you have to keep up with cutting and filing coupons, otherwise the Coupon Box is not that beneficial. I’m curious: If you clip coupons, do you clip all of them or just the ones you think you’ll use? I’ve actually been moving more towards what Carrie outlines here (a combination of the Coupon Box method and the Whole Insert method) in order to save time. So far, it seems to be working well! I use three 12-month binders plus a small coupon carrier I bring to the store. I use the binders for Smartsource, Redplum, and in the third binder, I organize internet printed coupon by the month they expire. I do keep my son’s almond milk coupons separate in my store carrier, as I use them frequently. I use Money Saving Mom’s coupon box method (Thanks Crystal) because I out grew all the other ways I was trying to organize. I use four small accordian files- one for groceries, one for cleaning supplies and household items, one for health and beauty items and one for store specific coupons. It works great for me because depending what kind of store I am goin to I can leave one or more of the files in the car plus they fit in my purse so I don’t have to lug a binder along with my 2 kids.